Huddersfield’s Daniel Lloyd is all set for the biggest challenge of his racing career as the Dunlop MSA British Touring Car Championship roars back into action at Brands Hatch in Kent this coming weekend (April 1-2). Having recently secured a ‘dream’ factory drive with the manufacturer-based MG RCIB Insurance Racing squad alongside fellow new signing Aron Taylor-Smith, Lloyd is set to join the most competitive BTCC grid in years, with 16 race-winners making up half of the 32-car strong line-up competing for the most coveted crown in British motorsport. 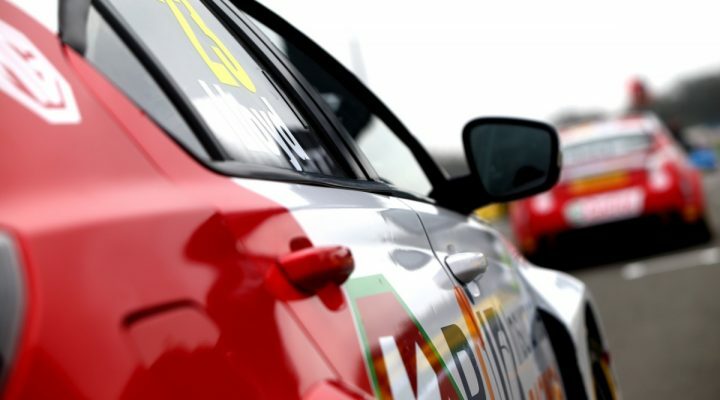 A huge crowd is expected to descend on the 1.2mile Brands Hatch Indy circuit where Lloyd will make his racing debut in the MG Motor MG6; run by multiple title winners Triple Eight Racing. After impressing during his three appearances during the 2016 season – securing front row starts at Croft and Oulton Park – the 25-year-old is eager to build on his performance with a full season campaign ahead of him. “This weekend is massive for me and my supporters;” enthused Lloyd. “Going into the opening round at Brands Hatch as part of a works-backed team, and representing the MG brand on the grid, is fantastic and I can’t wait to go racing again.